464 pages | 110 B/W Illus. There is limited access for small and medium-sized enterprises (SMEs) to bank credit. This book proposes new and sustainable models to help ease the access of SMEs to finance and boost economic growth and job creation in Asia. This book looks at the difficulties of SMEs in accessing finance and suggests ways on how to mitigate these challenges. It suggests how we can develop credit information infrastructures for SMEs to remedy the asymmetric information problem and to utilize credit rating techniques for the development of a sustainable credit guarantee scheme. 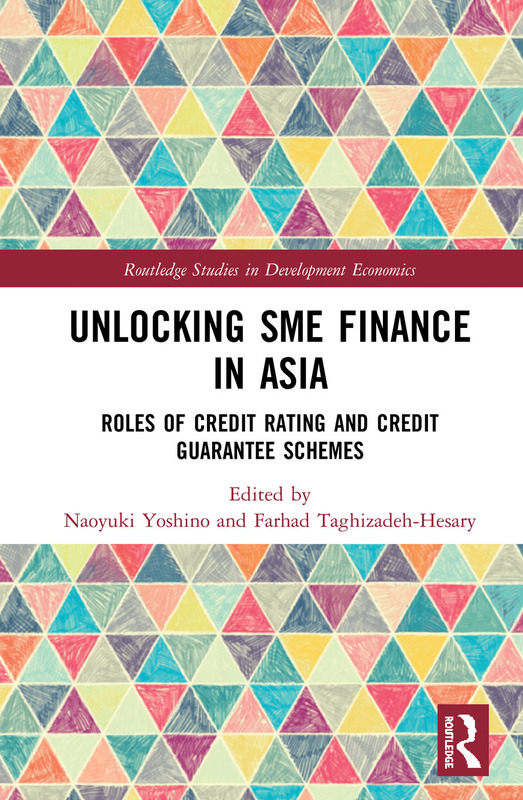 The book provides illustrations of various Asian economies that implemented credit guarantee schemes and credit risk databases and is a useful reference for lessons and policy recommendations. Naoyuki Yoshino is Dean and CEO of the Asian Development Bank Institute and Professor Emeritus at Keio University, Tokyo. He obtained his PhD from Johns Hopkins University in 1979. He has been a visiting scholar at the Massachusetts Institute of Technology (United States) and a visiting professor at the University of New South Wales (Australia), Fondation Nationale des Sciences Politiques (France), and the University of Gothenburg (Sweden). He has also been an assistant professor at the State University of New York at Buffalo and an economics professor at Keio University. He was named director of Japan’s Financial Services Agency's Financial Research Center in 2004 and is now chief advisor. He was appointed chair of the Financial Planning Standards Board in 2007 and has served as chairperson of Japan’s Ministry of Finance's Council on Foreign Exchange and its Fiscal System Council. He obtained honorary doctorates from the University of Gothenburg (Sweden) in 2004 and Martin Luther University of Halle-Wittenberg (Germany) in 2013. He also received the Fukuzawa Award in 2013 for his contribution to research on economic policy. Farhad Taghizadeh-Hesary is a faculty member and Assistant Professor of economics at the School of Political Science and Economics, Waseda University, Tokyo, and visiting professor at Keio University. He completed his master’s degree in energy economics at Tehran University, Iran, in 2011. In 2015 he earned a PhD in energy economics from Keio University. He taught as Assistant Professor at Keio University following the completion of his PhD until March 2018. He was also a visiting scholar and visiting professor at several institutions and universities, including the Institute of Energy Economics of Japan (2013–2015), the Credit Risk Database Association of Japan (2014–2015), and the Graduate School of Economics of the University of Tokyo (2016–2017). He has published on a wide range of topics, including energy economics, green finance, the finance of small and medium-sized enterprises, monetary policy, and banking. He has written more than 50 academic journal papers and book chapters and edited six books.